The Wae Rebo village can only be reached by way of a three-hour hike or depending on your physical condition from the lowlands. The hike is definitely worth the effort: the dense rain forest along the narrow path to Wae Rebo is one of a stunning biological diversity. Not only does it host interesting vegetation, including orchids, palms, and different ferns, but also an impressive population of singing birds. 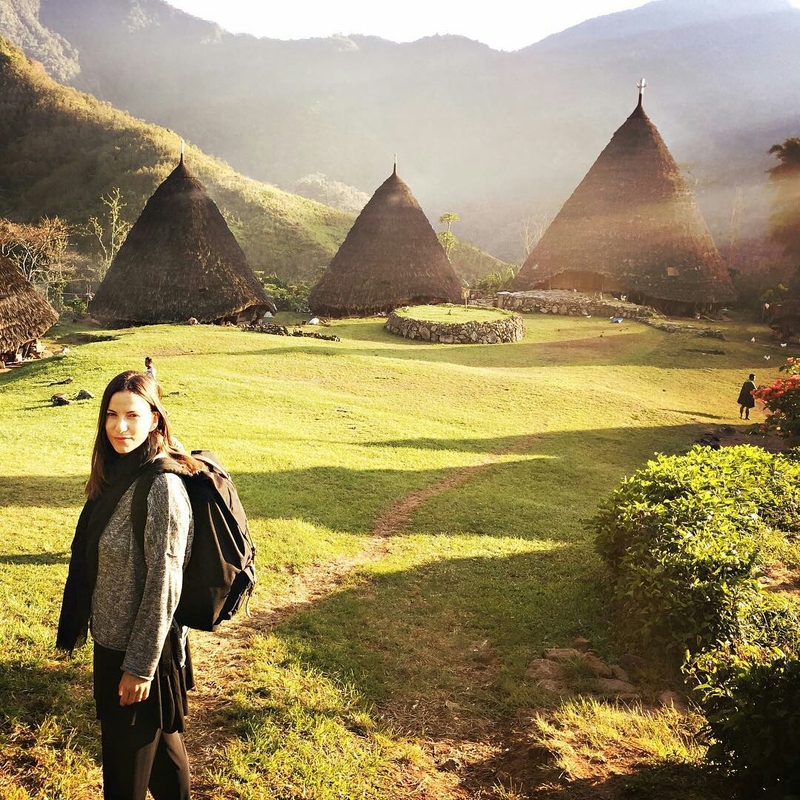 Wae Rebo has been supported to become the major culture tourism attraction in West Flores. Together with a team of Jakarta-based architects and the Indonesian government, the local community renovated four of their mbaru niang – or ‘drum houses’ in the Manggaraian language. from @irimiri - One of the biggest adventures of my life was getting at Wae Rebo traditional village (Indonesia) hiking through the steep and dark jungle terrain at night. There are only six traditional houses, where chosen people from the local clan live, never getting in touch with civilization. We had to present at the chief's house, where the leaders "connected" with their ancestors' spirits to ask them permission to allow us to spend the night with them. It did seem at one point we were at serious trouble...🙊 We spent the night sleeping on the floor, with no acess of shower and a little rice, but the magical sunrise the morning after and being part of the local community for a bit, was an unforgettable experience.